Part of the recent wave of new Netflix original content was LEGO House: Home of the Brick, which is a rather niche documentary about the creation of LEGO's now iconic LEGO House in Denmark. This is not a LEGO origin story - Netflix has The Toys That Made Us to help address that line of curiosity. But does touch on those origins to some degree in order to explain the LEGO House as a whole. This is a rather focused documentary that has a fairly narrow subject - how to make the house. And it's a story that doesn't exactly have a lot of controversy involved or some great struggle either. They started a plan to create this thing and then they do it in the end. That's how the documentary goes. But for diehard brick fans, this is still quite the captivating movie. Synopsis: LEGO House: Home of the Brick is a Netflix documentary directed by Anders Fack and Stinus Morell Vithner. The movie debuted on Netflix in June 2018. Starting with an idea from Kjeld Kirk Kristiansen, the LEGO House is an actual structure created in Billund, Denmark that acts as a unique celebration of all things LEGO and also a venue for creativity and education for LEGO fans young and old. But before it could be built it had to be designed both as a building and also in terms of what functions it would serve and what parts of LEGO history would be incorporated into this project. All that and more is what the documentary tries to cover over the course of 47 minutes of run time. It first talks a bit about LEGO history and the philosophies that have helped to drive the company and ultimately how those same ideas would play in the creation of this 130,000 square foot "house" that is a true home for LEGO. What I Liked: As a LEGO fan myself. this movie was a unique look not just into the history of the company or the development of the LEGO House but also into how they work as a company. Kjeld Kirk Kristiansen is a delight to watch as he truly has a rather childlike air around him when he interacts with other people in the company and of course with the children who love LEGO products as well. And given the narrow focus of the documentary, they are able to follow the entirely project very closely down to discussing which LEGO sets get featured and how the various massive LEGO builds that eventually decorated the House were put together. This is a very deep dive into the LEGO House as a project and you can feel the love the that went into documenting the effort. What Could Have Been Better: That said, the documentary feels very traditional or even bordering on company PR than some independent effort ot unearth some other proof. We see all that they want us to see and the project generally goes forward without too many problems apart from a voluntary move to delay the opening to get everything covered. They sort of what you to feel like that this project had a similar degree of effort as like creating a massive theme park, but really it's a single branded museum that happens to have activities for children. We don't even get too much insight into what the community thought about this massive brightly-colored structure showing up in the middle of their town like that. It all just happens in a somehow happy manner and we have to trust that this is the whole story. 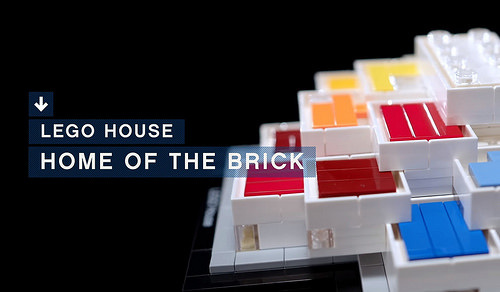 TL;DR: LEGO House: Home of the Brick is a light, straightforward documentary that has a nice happy project to talk about and not much else. This is definitely a feel-good watch especially for LEGO fans and those who appreciate all that this brand has tried to accomplish. Thus the documentary gets a good 3.5 special LEGO bricks out of a possible 5.